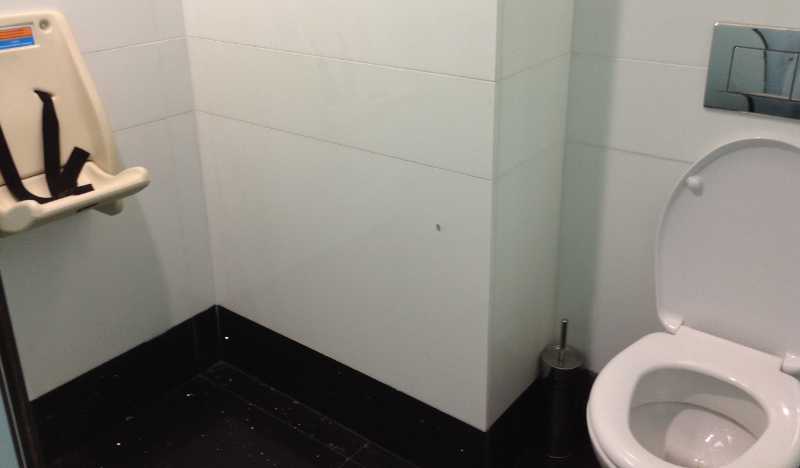 I expect that at first glance you are wondering why on earth I'm taking a photo of an airport lavatory. The women washing their hands at the basins certainly thought I'd taken leave of my senses. I mean who for heaven's sake - except perhaps for an eccentric Englishwoman - takes pictures of the cubicles in a ladies' toilet? Click here to find out why I have done it? Those of you who have had children will immediately understand, though. It's always so difficult to go to the loo at home when you have a crawling baby or a toddler, isn't it? How much more so in a public place like an airport? The moment you decide you want to go, they're up to all sorts of mischief. Before long you are desperate and wondering what on earth to do. Not in Lisbon airport, though. Pop the recalcitrant little one in the child seat and you can take your time without worrying. They're practical, child-friendly people, the Portuguese. "Parabens!" – congratulations – say I.